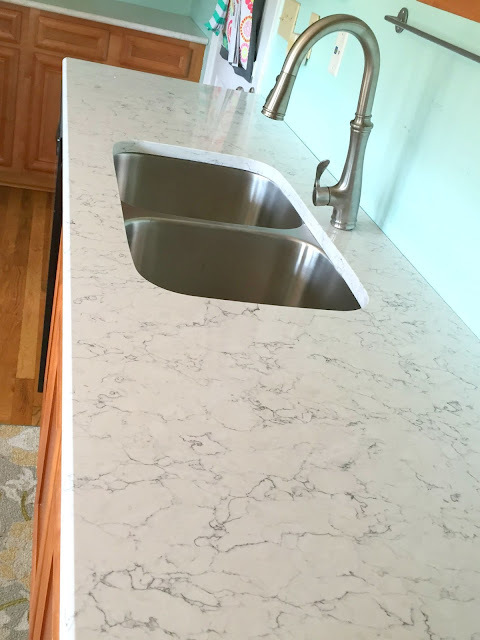 Today, I am excited to share some of the progress we have made in our kitchen! Here's a reminder of what we were working with. When we first moved in, our kitchen was DARK! 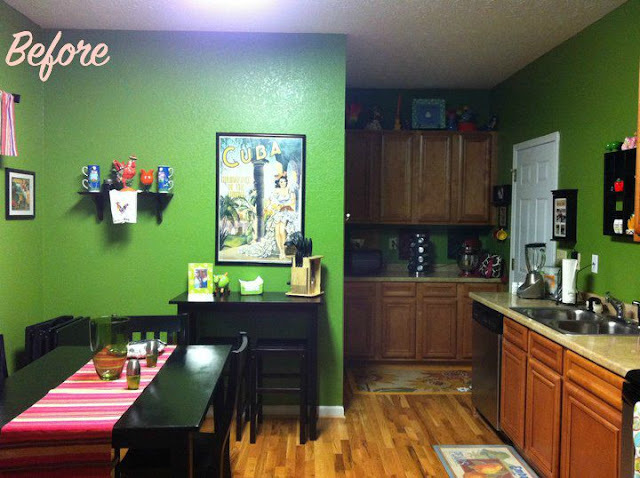 We filled it with black furniture, chose a dark-ish green paint, and kept literally every appliance we owned out on the countertops. It was cluttered and dated. I have since moved on from my job teaching high school Spanish, and from this Latin American themed decor. 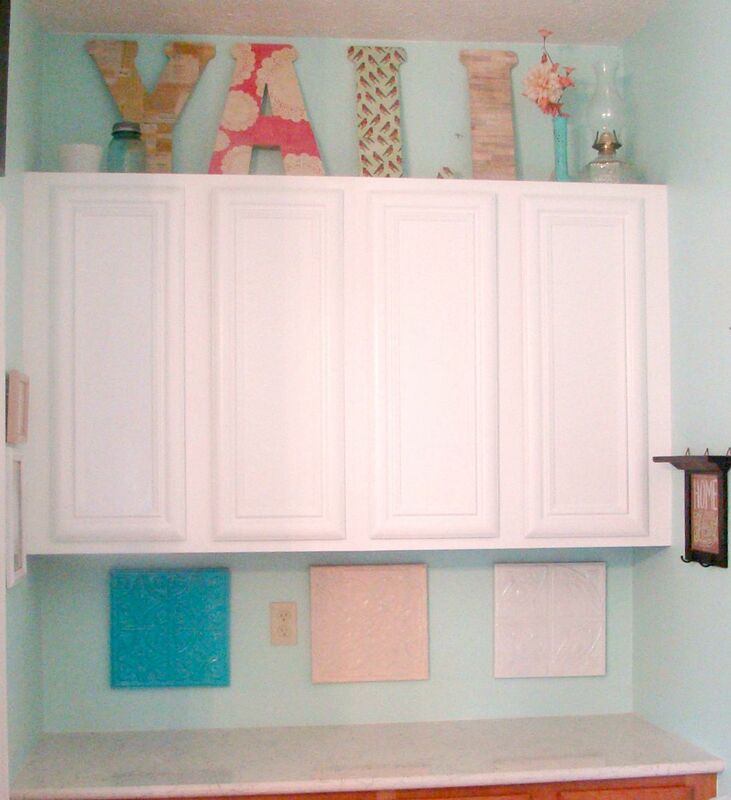 I loved our hardwood floors, but I was never crazy about the laminate counters or the finish on the cabinets. Last year, we painted a light, airy pastel blue (Valspar Grand Hotel Mackinac Blue) and updated our table and chairs. Don't judge my sink full of dirty dishes, y'all. I was at work when my husband texted me this photo. I remember taking deep breaths to slow the adrenaline that was about to explode my brain. Here I had spent weeks, No, months! Slaving away over paint and sandpaper and various mason jars, and he let one errant pot and missing trivet melt our countertops. I was definitely crying. Now. In his defense, our then-two-year old (who has always been a busy, handful of a child) had recently started working on potty training. Let's just say that the emergency that led to this fiasco involved poop, tiny hands, more poop, and perhaps a tv screen. It was an upsetting night for all three of us. So after the poop was cleaned up (but the burnt laminate smell still lingered), we made a plan. I had secretly wanted new counters all along, but didn't think it was the frugal decision to make. Now that we didn't have a choice, it was a little easier to spend that money. Only a little easier. We saved and saved for over a year. I rolled all my spare change and put it in a special project savings account. Every dollar we made at our yard sale went towards new countertops. I will share all the details of the material we ended up choosing in another post when the kitchen is done, but y'all, they are gorgeous. Having these new countertops gave me the spark I needed to start painting our cabinets, a project I'd been putting off because I knew it would be time consuming and a mess (I was right). So far, I have all of the uppers primed and painted and half hung back up. They still need some detail touch ups, but I'm getting excited to see the final look! Next I need to choose hardware! Here is a sneak peek of what I've done so far. Please forgive the low-quality photo. This is seriously the darkest corner in our house (#notaphotographer)! With two littles around, it may be a couple more weeks before everything is painted and I'm able to share the finished look. In the meantime, I'll be sharing other updates I've made around the house. 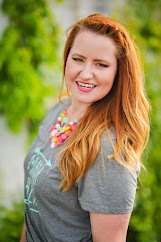 You can always check out our house tour as I add more rooms and before and afters! 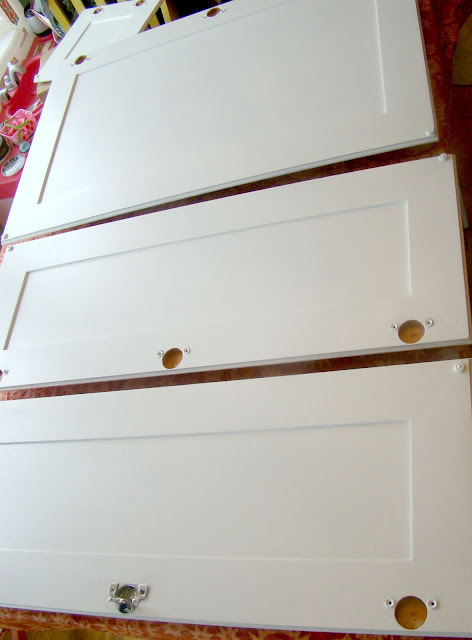 Anyone else slaved through painting your cabinets? Was it worth it? 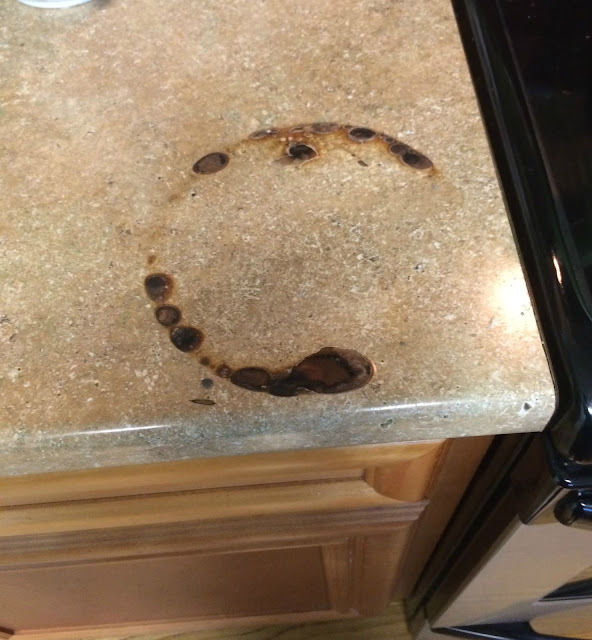 Have you ever burned a hole in your countertops?